The online version of this article ( https://doi.org/10.1186/s12960-019-0359-3) contains supplementary material, which is available to authorized users. In 2003, the Ministry of Health (MOH) launched the Zambian Health Workers Retention Scheme (ZHWRS) pilot program to attract and retain medical doctors in rural and remote areas of the country. The scheme was expanded in 2007 to include environmental health technicians, nurses, medical teaching staff, medical consultants, medical licentiates, and clinical officers. The ZHWRS ranks districts by level of remoteness and offers various benefits to health worker in each district, such as hardship allowances, housing rehabilitation funds, vehicle loans, utility equipment (solar panels or a bore hole), radio equipment, and professional development priority . Evaluations of the ZHWRS have suggested that the policy has had limited effectiveness and that none of the included incentives are significantly associated with higher retention in rural areas [5, 6, 7]. In response, the MOH developed the ZHWRS Sustainability Strategy (ZHWRS-SS) in 2014. The ZHWRS-SS called for an effectiveness evaluation and cost-benefit analysis of other potential non-monetary incentives in order to inform the selection of sustainable incentives that could replace those included in the ZHWRS. This study adopted a discrete choice experiment (DCE) design. 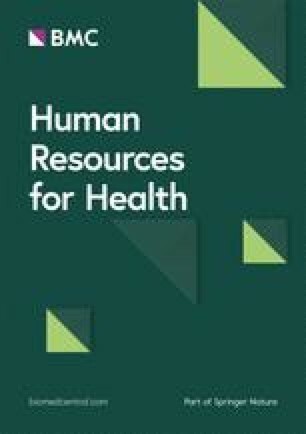 In recent years, DCEs have emerged as an important tool for examining the potential effects of HRH interventions by understanding the preferences of health workers and the probability of uptake of defined jobs [9, 10]. 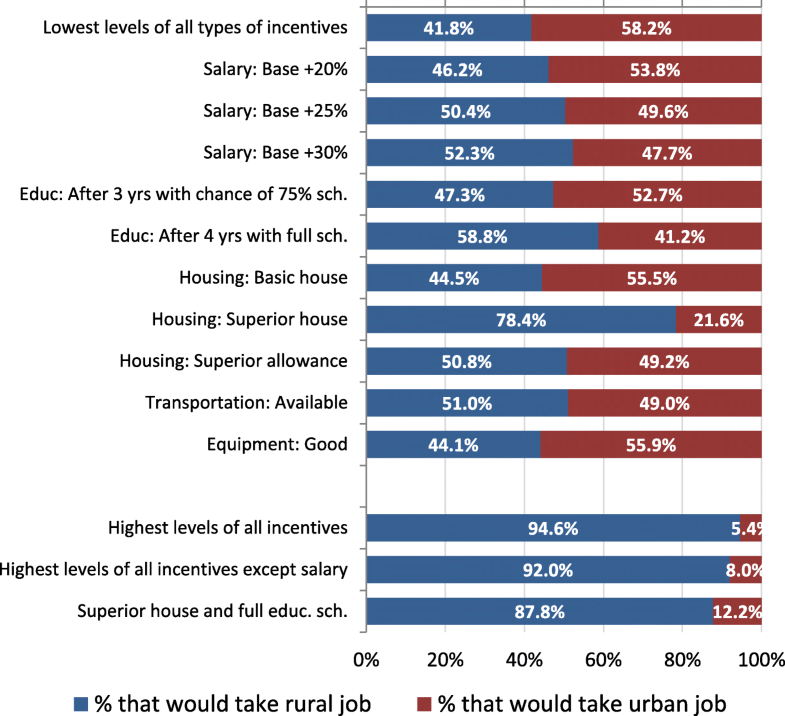 Previous research has highlighted several key types of strategies or incentives for attracting and retaining health workers in rural areas [11, 12, 13], including educational opportunities, financial incentives, professional support and recognition, improved living conditions and personal transportation, regulatory policy change, and improved facility conditions. The details of these packages are, however, contextually dependent on the status quo, health worker preferences, and political and financial feasibility.